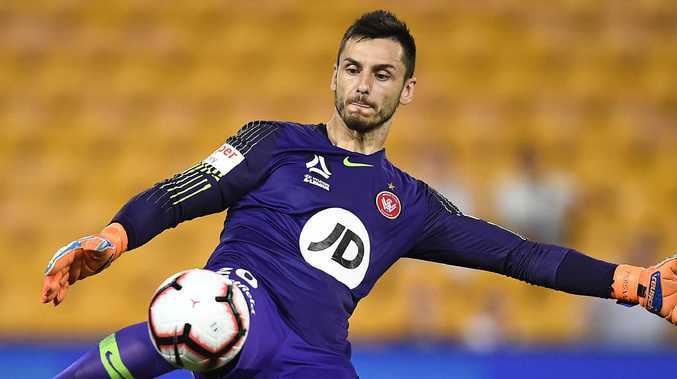 IT could be the game that applies the formal extinguishing of an awful season, but Wanderers keeper Vedran Janjetovic will demand his teammates fight to the end. Defeat at home to Melbourne City on Saturday - coupled with Adelaide beating the bottom-placed Mariners - would mean the last rites read to any theoretical hope of Western Sydney making the A-League finals, leaving only the planning for next season in the balance. With four rounds to go beyond this week, it promises to be a deflating end to the last campaign displaced from Parramatta before a return to the new BankWest Stadium that can't come soon enough. 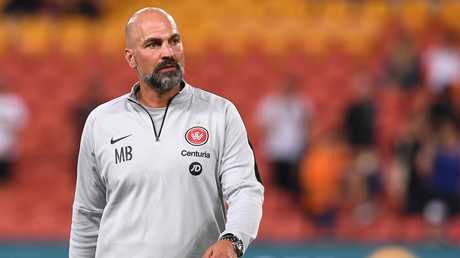 But whether the top-six door shuts formally or not, Janjetovic promised that coach Markus Babbel would allow no slackening in the last few rounds. "We're all on the same page, knowing that we have to finish strongly - for the supporters too, we want them going into the new stadium with a sense of optimism. "Watching from my end of the pitch it has been frustrating at times but we've also conceded too many goals so it's a two-way street. "There have been glimpses here and there of what we can do but probably two or three games too late. If we could have gone on a bit of a run earlier we might have got somewhere, but we'll still be fighting for every single game until the end of the season." His own form has slipped significantly from previous seasons, and Janjetovic was honest enough to admit that he had suffered from a pre-season plagued by a long-standing groin issue, leading to a series of high-profile errors. "It hasn't been my best season, I can say that openly," Janjetovic said. "I missed a lot of pre-season and that does have an effect down the track. "It means you're not necessarily in the right mental state, you can't train enough. Niggles appear but you want to carry on, you want to play in every game. Sometimes you let yourself down in the process of trying to be there for the team. "But that's why we want a couple of good results now, for us as individuals as well as for the team. "We had a couple of days off with the international break but we trained pretty hard before that, and Markus will definitely have us going for the last games of the season. "Anyone who tries to take their foot off the pedal is likely to have him breathing down their neck."